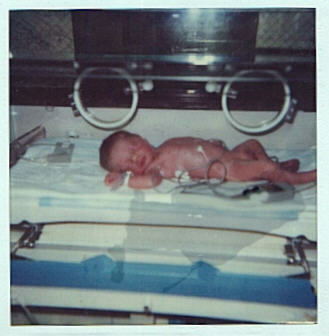 Baby Keith was born on January 22, 1988. He was born 7 weeks premature. He wasn't due to be born until March 5, 1988. 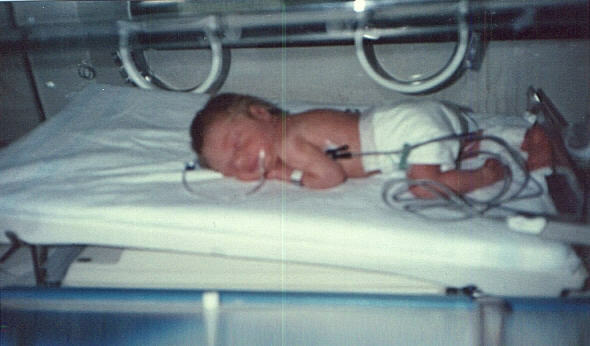 Although he was a preemie and only weighed 4lbs. 11oz. he was quite healthy compared to some of the other children in the nursery. He remained in the Special Care Nursery at Franklin Square Hospital for 2 weeks until he was able to be fed from a bottle rather than the tube and he went up to almost 5 lbs. On February 6th, 1988 Keith Jr. came home from the hospital with a clean bill of health. This was the beginning of a healthy, happy life for Baby Keith. He touched many lives and many hearts in the 19 months he was here with us.